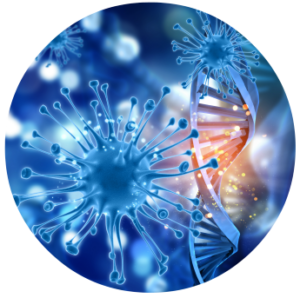 UV-CLEAN No-Touch technology is a powerful disinfection system that uses UV-C energy to inactivate microorganisms at the genetic level by disrupting cellular DNA. Our UV-CLEAN units provide easy installation, flexible configuration options for space-constrained areas, automated and customizable UV-C light exposure cycles, and downloadable audit trails for reporting. UV-C light is a non-visible germicidal wavelength that can break down microorganisms up to 24 inches away — the region of germicidal effectiveness destructive to bacteria, mold, and virus. UV-C light kills 99.9% of pathogens on high-touch surfaces or objects. Specifically, UV-C light causes damage to the DNA of these microorganisms, inactivating or killing them. Once inactivated, these microorganisms can no longer reproduce or spread on surfaces. 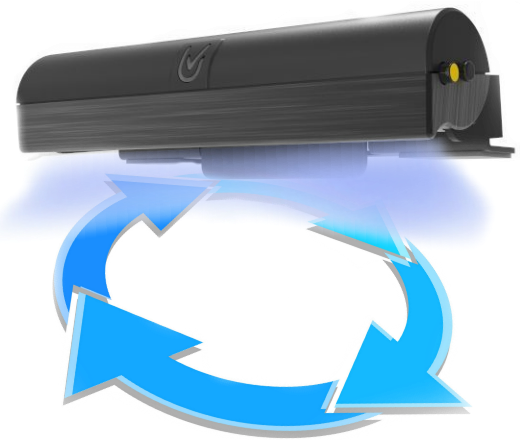 UV-CLEAN units have a rotational adjustment feature for the head that houses the UV-C light. You can tilt the head to cast the UV-C light at an angle best suited (0-15 degrees) for your disinfection area. UV-CLEAN No-Touch technology offers a powerful and effective UV-C disinfection solution that can complement or enhance your current preventive measures or systems. UV-CLEAN No-Touch technology automates disinfecting cycles that use low doses of UV-C light that are harmful to pathogens. UV-C light is dispensed at timed intervals with low levels up to 24 inches away, to break down the DNA of infectious microorganisms on high-touch surfaces. You can customize each UV-CLEAN unit’s cleaning cycle time and duration settings to best fit your requirements. You can use the UV-Clean Audit software to access and modify the locally stored settings on each UV-CLEAN unit. UV-CLEAN No-Touch technology is designed for efficient and safe disinfection of contaminated high-touch surfaces in fast-paced work environments. The built-in motion sensor on the UV-CLEAN units makes them easy and safe to use. Motion detection while a cleaning cycle is in progress causes the UV-C light to power off automatically. The cleaning cycle stops. This allows you to safely proceed with your task at hand. Cleaning resumes after no motion is detected for a specified amount of time. You can use the UV-Clean Audit software to modify the no-motion and wait-mode settings for the cleaning cycles. UV-CLEAN No-Touch technology simplifies the task of creating audit trails for your cleaning cycles. With built-in smart technology and internal memory storage, UV-CLEAN units generate and store audit trails locally. This helps you avoid the hassles of network connectivity and potential network security issues. 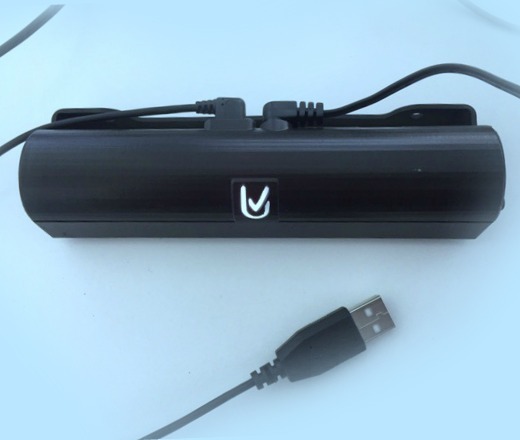 Additionally, UV-CLEAN units include a USB cable that allows you to connect the unit to a PC or other USB-enabled device for easy download of its audit trail. 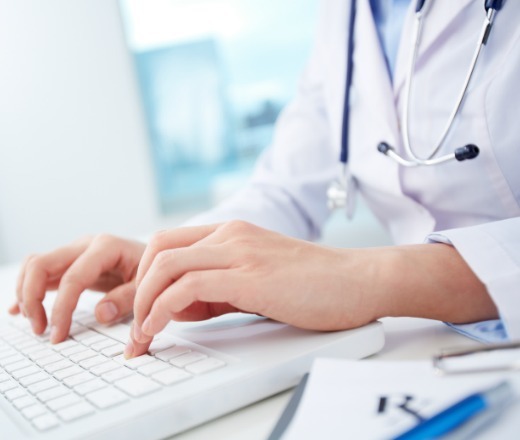 The UV-Clean Audit software provides easy access to audit records that include date, time, and status information for the cleaning cycles. Proximity offers clients innovative industrial design solutions for a wide range of business sectors. Our multidisciplinary design experts consider the function, aesthetics, and usability of products. Our design teams develop new product concepts to support the complex and real-world business demands of our clients’ work environments. We’ve taken our “work smarter” philosophy and boldly applied it to new technology development — UV-CLEAN. The underlying design of our UV-CLEAN product line is an innovative UV-C disinfection solution. UV-CLEAN No-Touch technology is optimally responsive to the context of different and varying client workspaces. The affordable UV-CLEAN units are portable, compact, and easy to install. We’re ready to answer any questions you may have about how UV-CLEAN No-Touch technology can provide an additional level of disinfection to your work environment.